The Weider Pro 290 Weight Bench is a multi functional training bench. The seat offers you the option to sit in an incline, flat or declined position allowing you to carry out a full range of workouts. The padded leg developer isolates quads and hamstrings for leg extensions and curls. The rolled preacher pad comfortably isolates your biceps and ensures correct form while performing bicep curls. 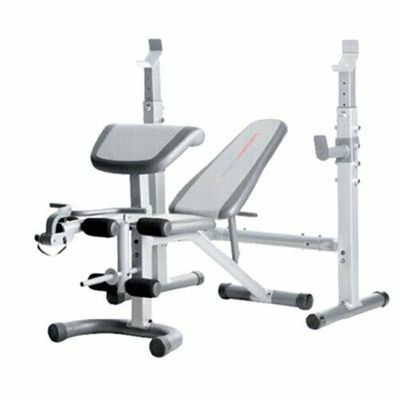 for submitting product review about Weider Pro 290 Weight Bench.